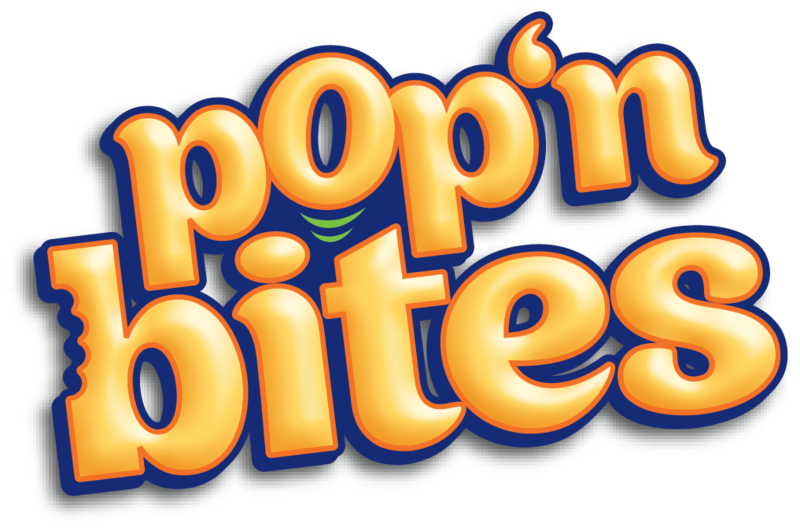 Pop'n some flavor in your pet's life! 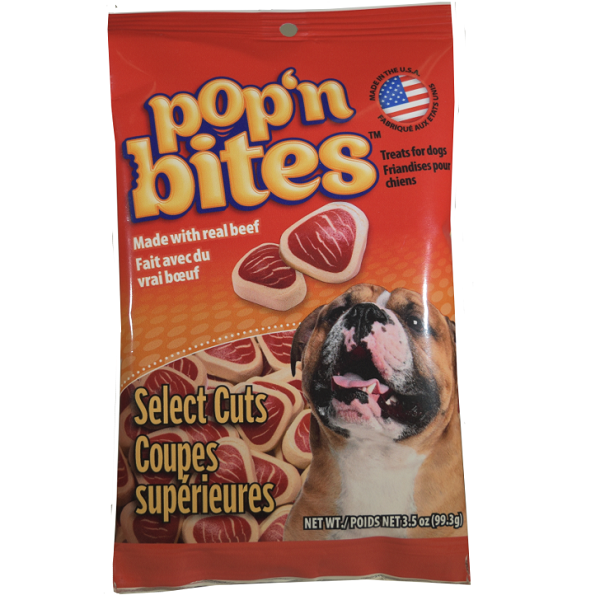 Pop'n Bites Choice Cubes are tasty dog treats made with real beef and highly digestible rice. - Crunchy texture helps clean plaque and tartar. - Great for adult dogs of all sizes. Wheat flour, soy flour, beef, rice flour, corn flour, corn syrup, water sufficient for processing, glycerin, animal fat (preserved with mixed tocopherols), propylene glycol, gelatin, dried cheese product, calcium sulfate, phosphoric acid, salt, caramel color, potassium chloride, natural smoke flavor, titanium dioxide (added color), potassium sorbate (a preservative), artificial beef flavor, iron oxide (added color), BHT (a preservative), BHA (a preservative), citric acid (a preservative). Feed as a treat or training reward. Provide fresh water at all times. This treat is not intended to replace your pet's main meal.